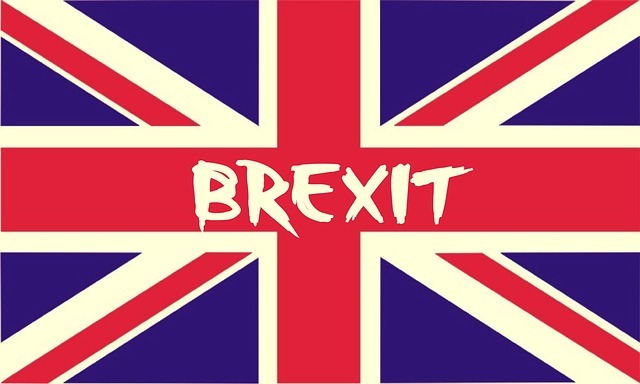 On June 23rd, 2016, the people of Great Britain decided to exit the European Union (EU) by a narrow margin in what will go down as a historic referendum for the country. The result has gripped the global economy in mounting uncertainty as the pound dropped to the lowest it has ever been since 1985. David Cameron has resigned from the office of Prime Minister and former Home Secretary Theresa May assumed the role as of July 13th. Experts believe that she will put Article 50 into play by informing the EU that Britain plans to officially leave the European Union. That notice will set into motion a two year ticking clock of negotiations between the exiting country and the European Union on terms of departure and new trade deals that will need to be re-established for the UK. The vote was not overwhelmingly in favor of leave vs. stay as the margin was slim. This has sparked some speculation that the Brexit may not actually come to pass. 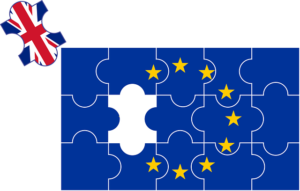 While the plans seem clear to proceed with the split, there has been major turmoil for everyone involved from politicians to the citizens of the UK to many neighboring countries beyond that also held a vote as to whether or not to stay within the EU. Countries like Scotland and Ireland are now seeing their own ripple effects as some are calling for a second vote for Scottish independence in light of the vote to leave. The Spanish government wants joint control of Gibraltar now, and Sinn Fein is advocating for a vote to unite Ireland and Northern Ireland together, since a majority of residents in Northern Ireland voted to remain in the EU (where Ireland is still a member-country). Now there are more demands for a vote on the matter as well. 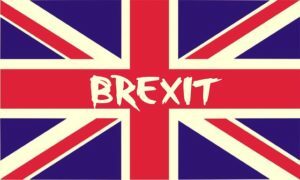 The Brexit outcome has serious consequences with respect to trade, the economy, immigration, and even regulations on industry. The motivations behind those in the “leave” camp were varied across all of these topics. For starters, some believe Brexit would stop 350 million pounds a week from being sent from the UK to Brussels as a condition of being a member of the EU. That figure is roughly equivalent to half the country’s budget for schools. Leaving the EU would also allow the UK to establish its own trade agreements with China, India, and the United States as well as with other members of the EU. However, the deals wouldn’t be bound by EU laws. This does put into jeopardy Britain’s ability to get favorable terms on trade due to having the size of the EU behind them. All of these things have already proven to take a toll on the financial markets both in Great Britain and all around the world. Britain has since lost its AAA credit rating after the Brexit vote. With trade agreements in flux, there’s plenty of unease as to the willingness or reluctance of EU countries to enter into new trade deals. Many analysts, however, feel that this pearl-clutching is much ado about nothing as it would be in the best interests of EU member countries to enter renewed trade negotiations just as it would benefit the U.S. or China to do the same. So what does all of this mean for you? That all depends on how you look at it. For investors, there is sure to be some unpredictability on the horizon. For travelers it’s a much better picture. For homeowners in the UK there is also some unease as property growth may slow considerably. While many pundits and naysayers are already saying that the leave vote is going to hurt the UK in the long run, making the country and the EU weaker in equal measure, the impact this could eventually have on the global economy is less clear. It’s always second nature to react, or overreact in many cases, when a major event like this takes place in the world as it’s large and wide-ranging enough to send everyone scrambling for a course-correction in the short term. That’s not always the prudent way to think, however. Smart investors will often take a step back and let events unfold fully before making any changes to their portfolios in the wake of a major international economic shift. 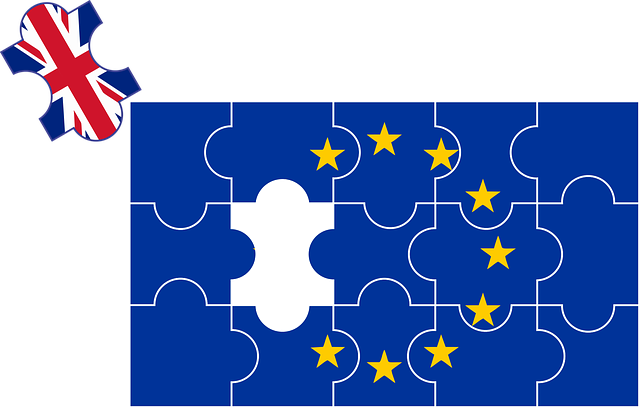 Here are some of the things that the Brexit vote can mean for you and your overall financial outlook. Massive political upheaval has always proven to have some significant impact on the world financial markets. Whether or not those influences are long-lasting or if they cause a dramatic yet short blip on the radar, investors always seem to react quickly. That’s not the best course of action in many cases and, with respect to Brexit, the initial consequences were certainly turbulent. In the end, it could all be for naught. In the case of the Brexit vote, Bank of America Merrill Lynch released a report that showed investors moved over $1 billion from equity funds during the week of the vote. That number represents the second highest amount of money taken out of the UK in nearly a decade. Such decisions to move this much in investments in just a single week has proven to have costly ramifications in the past. In short, it means you shouldn’t hit the panic button just yet. Investing isn’t about knee-jerk responses to volatility and that includes dramatic political events with potentially long-lasting consequences. Making the decision to sell off investments or assets usually comes part and parcel with a litany of fees and tax implications that are going to take more money out of your pocket. What happens if (and usually when) the market turns around and regains the same strength it had before this tremendous news? That spells certain doom for your long-term financial goals. Retirement plans and their accompanying nest eggs can be adversely affected by snap judgments as well. When you see the tide turning back in the right direction you’re going to wish you had the forethought and patience to stick it out and tune out the talking heads warning you to get out while you still have the shirt on your back! Any significant political change is going to wreak some initial havoc on the market in the short-term. That doesn’t mean you adjust your long-term strategy. Where Brexit itself is concerned at the moment, you need to keep in mind that Article 50 hasn’t even been initiated by Prime Minister May yet. Even when (or if) it is invoked, there are still two years left before any dramatic and lasting changes will take place. You can be sure that once she does, it will make international headlines and the markets will see-saw all over again as investors who aren’t quite as savvy you are begin to scurry about selling off their assets. Just remember not to fly off the handle with the rest of them and know that two years is a long time before any major drastic changes are implemented that would spark any reasons to make any shifts to your portfolio. This sort of thing happens all the time; everyone gets nervous and speculators predict the worst of times are coming. After all is said and done and the water has gotten a little choppy, everything smooths itself back out as if nothing happened whatsoever. Well, one thing has taken place for many investors who got sucked in by the hype: They were the ones who lost money by selling off assets that were performing just fine up until that time. Trust your gut and not the guy next to you who lost his nerve. When the Brexit vote was approaching, the Dow was starting to dip and fell about 400 points before recovering back to its current level. The day after the leave campaign won the day, the Dow fell nearly 600 points by the time trading had ended. That’s no picnic and many people who were saving for their retirement had visions of working until they dropped dead since they had just posted such dramatic losses. Maybe you were one of them, tracking the Dow all day as it sank further and further along with your heart. Here’s the deal. Your 401(k) isn’t in any trouble. Sure, the day after the Brexit vote was not a good one, but there is some good news out there. As long as you stayed moored in your long-term strategy and not mired in short-term reactionary behaviors, that is. What does this mean for you? Well, it means that while your investments were all down (and may well be down further again in the future), the upside is that you’ve got a deep discount sale going on in front of you right now. Now that everything has dropped in value, it’s time to buy. You’re not spending any less but you’re now getting more for your buck. That’s going to do wonders for your long-term investment planning and that’s still the name of the game — even when we’re discussing your 401(k). When you lose value in your retirement accounts, you can tend to panic and make rash decisions. But this is no time to panic. Any moves you make need to stay aligned with your long-term goals, not immediate action based on scary situations that are taking place in the market around you. If you feel really nervous — and who can blame you with Brexit dominating the news cycle as of late — then talk to your financial adviser or planner and have him or her tell you the same thing. Besides, you should have already made some moves to prepare yourself for downturns such as these. Fortifying your 401(k) against upheaval and strife like this is the smartest thing you can do. If you’ve invested strategically, then your portfolio shouldn’t require big sweeping sell-offs to get back on track. That’s only going to make the problem worse. Stay the course – the sky isn’t falling. Corporate America has a considerable stake in the future and financial wellbeing of the UK. In fact, American businesses have made considerable investments in the UK to the tune of over half a billion dollars as of just two years ago. The biggest problem here is that many major American corporate entities have put large amounts of capital into Britain with the intent of getting a foot in the door, so to speak, with the rest of the European Union. However, with the UK taking its exit from the EU, that puts a lot of corporations at a severe disadvantage for future earnings and growth with respect to international sales, research and development and valuable assets in the region. All of those investments, not to mention jobs, are at risk of being lost. That means these companies may then pull out of the UK and put their headquarters and factories in other countries such as Germany or France. It’s not just businesses, either. The same goes for banks as well. 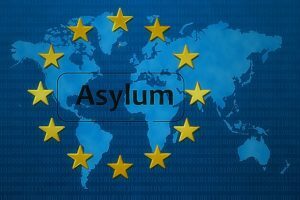 Major global firms and entities could elect to exit Britain outright and head for safer lands. When these things start to happen, the result could be a recession in the UK. With so much invested and tied into the country, it’s not inconceivable that the US could start to feel some of the effects of that recession as well. Having just recently emerged from a downturn in the US economy, that isn’t something we’re eager to live through again in any capacity. The split could also herald a cooling period in the relationship between the US and the UK. President Obama himself has said that should the Brexit take place, the UK would take a back seat to the current trade talks that the country is engaged in with the EU as a whole. That chilly relationship could also spark an increased interest in improving relations with Germany and France, not just for the opportunities that each country provides our businesses and banks but also with respect to influence in the European region. We’ve been discussing a lot of doom and gloom thus far, but there are some truly positive things that will benefit US citizens in the wake of Brexit. For one, traveling to the UK is going to become increasingly more attractive because it’s just gotten far more affordable. With the pound dropping you can now expect to get more bang for your buck when you visit England. The dollar is stronger, which means everything is cheaper in the UK: Airfare, lodging, and paying for just about anything in the UK will be considerably less expensive. If you’ve been thinking about traveling to London to see the sights, then book your trip now. If you’re American you’re also going to have an easier time of it because there will likely be fewer tourists coming to visit from other countries within the EU. Not only will there be some raw emotions that may preclude many from wanting to visit the country, but trying to enter the UK will be met with stricter immigration lines for EU citizens who once had free passage in and out of the country without the need for a visa. However, that stronger dollar may also have a downside. While it may be cheaper to travel and spend money in the UK, it may be bad for businesses that sell items overseas. When the dollar is stronger that can make US companies’ products more expensive to consumers outside the US. That, in turn, might make them less likely to sell. Certain sectors of industry feel that pinch a lot more than others with tech companies, agricultural equipment manufacturers, and major global companies like Coca-Cola or Nike suffering as a result. That might trigger an earnings recession which could have a serious impact as US exports fewer products to the European markets. There is precedent for such a thing taking place with lost revenue and lost jobs resulting from a strong dollar. So, while you’re paying less for airfare it could put trade conditions at risk. This could have a ripple effect on our economy. There is a flipside to the coin, however. The stronger dollar means imported items cost less for consumers here and that could assuage concerns of a market taking downturn. When the markets are sluggish people get scared and they don’t want to buy things. They would rather save their money which then further stagnates the economy. Brexit could trigger this chain reaction of problems. As of now, however, those fears lack a strong foundation for real concern. This isn’t to suggest it can’t happen in the light of the Brexit vote and any consequential actions after the fact, but it’s probably not too likely right now. Students are also affected by the Brexit as universities rely on a stable EU to perform their best, continue their ability to conduct research, and attract academic staff. If the UK were to leave that could mean a decline in enrollment in the coming years. This is bad for students within the UK and the EU. However, American students who wish to attend these universities may find themselves in either a good spot or a bad situation when they begin sending out applications to study abroad. For some students, they may be subject to an easier application process because these universities are looking to maintain enrollment rates. This isn’t to suggest that these schools would suddenly lower their standards to let just anyone in, but the competition for limited number of spots could be less severe. On the flipside, these universities could experience funding issues and that might mean shutting down certain programs at the school, thus eliminating that institution from a student’s short list. More often than not, what happens somewhere else in the world can have an impact on the US. Maybe not directly every time, but even the most seemingly innocuous events could be impactful. As far as Brexit is concerned, there are a myriad of people who may be affected along all walks of life. Among the most pressing is the matter of immigration. One of the chief causes behind, and criticisms of, the vote for leave is that it gained so much ground due to the number of immigrants who were coming into the UK. The lax borders were a great motivator for many people to vote to leave the EU. These sentiments are similar to those that many people feel in the United States at the moment. Being an election year, the spotlight has been directed at our country’s immigration policies and the number of undocumented immigrants who come here annually. Refugees from the strife in Syria have also sparked anger and fear from many US citizens who are concerned about terrorists entering the country disguised as people who are just trying to escape the oppression of ISIS. The Brexit vote has led some to believe this could play into the hands of the GOP nominee Donald Trump as he campaigns for the White House. His platform has been one of building a wall between the US and Mexico to fortify the border and keep undocumented immigrants from entering the country. Not to mention his ban on Muslims from entering the country as well. These actions have repercussions on jobs, taxes, and wages. Implementing sweeping changes can also prove to have a dramatic impact on the economy and the state of the nation. The Brexit vote just took place and the people of the UK are already feeling the effects across the board. They have new leadership and some key players in the leave campaign have either stepped down from their positions or have been appointed to new ones. The pound is down and will remain that way for the near future, at the very least. However, an actual split from the EU is still a long way off and there’s no definitive timetable for when the Brexit will become final. The vote itself held such a slim margin and many voters have even expressed remorse over the decision to exit. In truth, the real effects of the vote have yet to be felt. That is, if they are ever felt at all. If the UK ultimately decides not to leave the EU, then all of this will be little more than an interesting, and perhaps cautionary, period in world history.